Cracksman will wear blinkers on his final racecourse outing in Saturday’s Qipco Champion Stakes at Ascot. John Gosden’s colt is trying to win the race for a second successive year after he demolished a good field last season. However, despite winning two Group Ones this term, the Prix Ganay and the Coronation Cup, he has failed to hit last year’s heights, scrambling home at Epsom and being beaten in the Prince of Wales’s Stakes at Royal Ascot. Gosden put that performance down to the quick ground, meaning he has not run since because of the heatwave this summer, and also not having his mind fully on the job – hence the application of headgear. Frankie Dettori will be in the saddle – and the Italian has been boosted by the ground-enforced absence of stablemate Roaring Lion. He said in his Ladbrokes blog: “There’s no Roaring Lion in the Champion Stakes, which makes life easier for me. “Cracksman is in good form. He won the race last year and we have the blinkers on him to keep his concentration levels up. “If the same Cracksman turns up from last year, he will be very hard to beat. He’s been off for a long time, but we have been very pleased with his demeanour. “It’s his last race and let’s hope he can do it. Stablemates Monarchs Glen and Maverick Wave will join him in the eight-runner field. Aidan O'Brien runs last year’s St Leger winner Capri and the Lockinge victor Rhododendron, who has been very disappointing since Newbury in May. 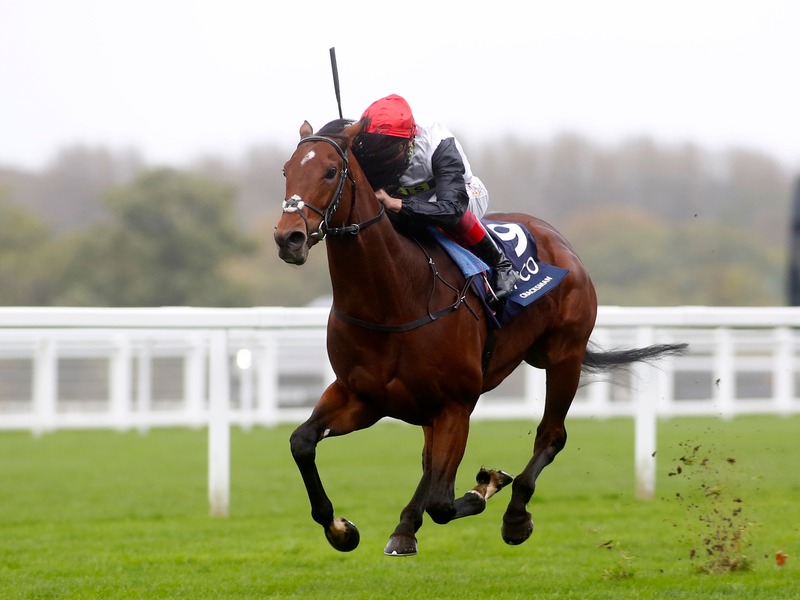 Sir Michael Stoute’s Crystal Ocean looks the main threat to Cracksman having pushed Poet’s Word all the way in the King George in August. He was, however, no match for Enable at Kempton when trying to concede weight last time out. Jim Bolger’s Verbal Dexterity, a Group One winner at two, and Subway Dancer from the Czech Republic complete the field.